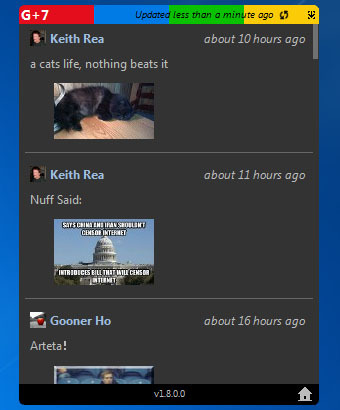 Kalamon G+7 is a Windows gadget that allows you to read live Google+ posts feed right on your Windows desktop. 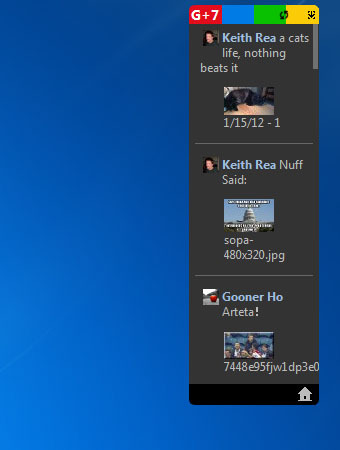 You can even +1, reply, and share the Google+ messages feed with this desktop gadget. 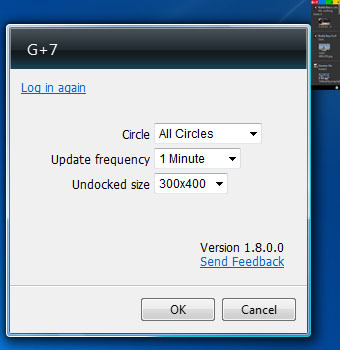 Click Install to download gplus7.gadget file. 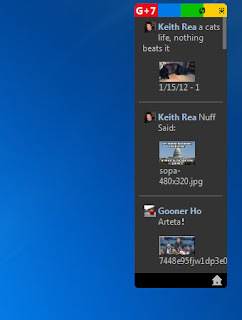 Open gplus7.gadget, it will appear on the desktop and click here to login with Google+ account. 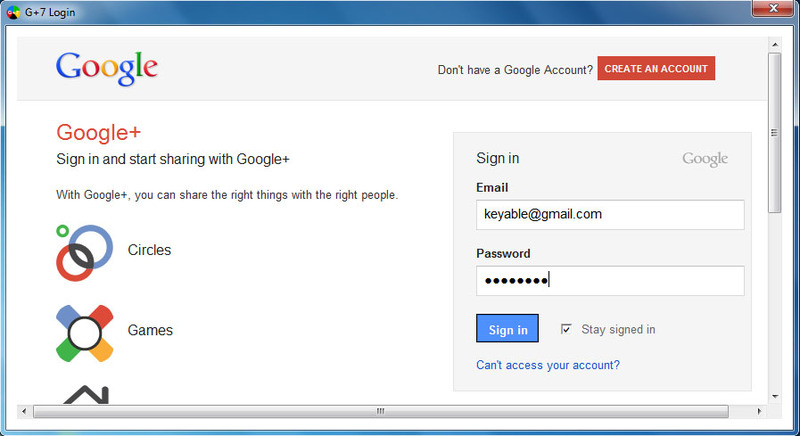 G+7 login windows pops up, enter Email and Password. 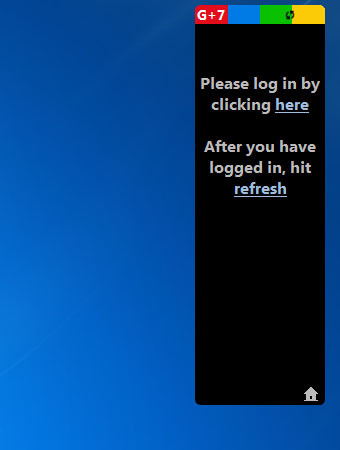 You must tick Stay signed in. Otherwise, G+7 won't work. 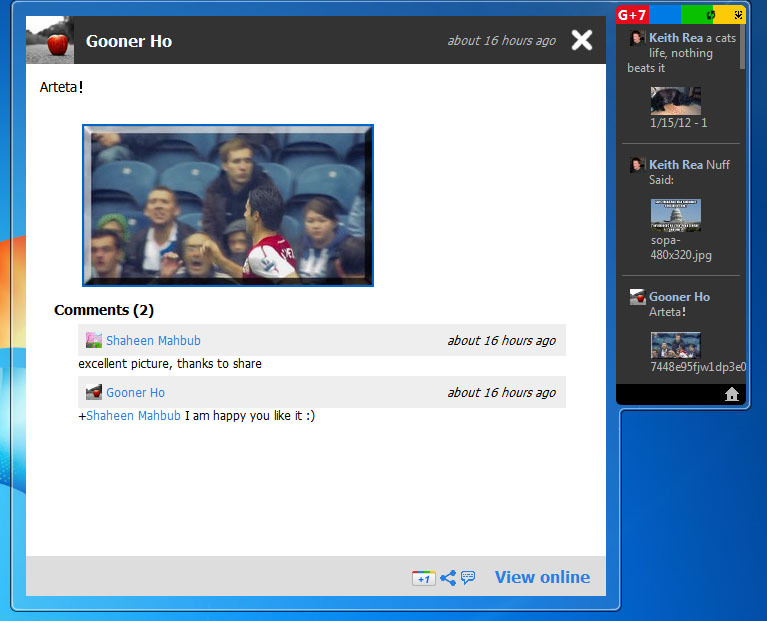 After you login, click the refresh icon on G+7 and it will starts streaming Google+ messages feed. Right click on G+7 gadget and click Options, you can customize which Google Plus Circle to view only, update frequency, and undocked size. Click on any post feed, you can +1, reply, and share the post.